I’ve given out a lot of general advice and it’s high time I get to some specifics. Since I play mostly EDH I want to share with you what will be some popular cards for such decks. These are the cards to take the long view on, not accounting for Standard spikes in price or the dips and dives they will face in rotation. To put it another way, these are the cards that will eventually be cheap, which you should pick up at a low price and put away for a while. How long, you ask? Let’s take a look at one of my favorite examples: Lurking Predators. 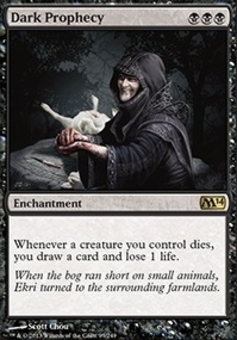 If you’d bought this as a bulk rare in 2009-2011, which it was, then you’re happy to sell it to a buylist for $1.50 to $2, or more depending on the site. The trick is being that patient, but if you can do it, you’ll be paid off. 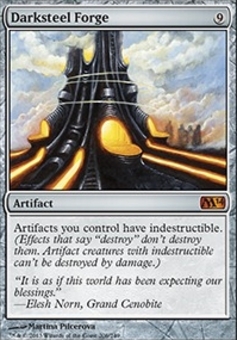 This is also the type of card that someone who started in the past couple of years will be overjoyed to pick up for their casual deck, because it’s just that amazing an effect. Thespian’s Stage is another example of something you should get right now while it’s cheap, even after the change in the Legend rule caused an uptick in its price, due to its interaction with Dark Depths. 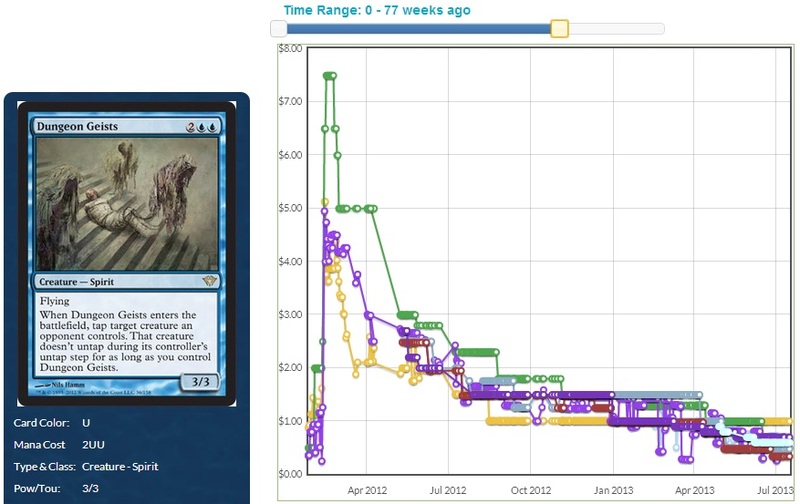 Another trend which can be a good predictor of casual appeal is a big gap in price between foil and nonfoil. If the foil is going for more than two or three times the price of a card, pay attention. Thespian’s Stage and Boros Charm are excellent examples. With all this in mind, let’s talk about M14 and the cards which will ask a good price on casual appeal. I’m going to skip a lot of cards, because I want you on the lookout for cheap cards in the next few weeks, not the expensive ones. Some of these are still surprisingly expensive, so I know I’m going to have to wait for more M14 to be opened and the prices to fall further. Aside from Garruk, it’s unlikely that these see Standard play. 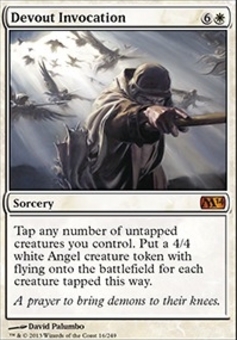 Devout Invocation – I want to say this card is a trap, because it’s best when you already have a bunch of creatures. That said, it’s a mythic and will always have someone wide-eyed over what’s possible. Pick this up when it’s bottomed out as bulk. Elite Arcanist – When it hits bulk, I’ll be in. 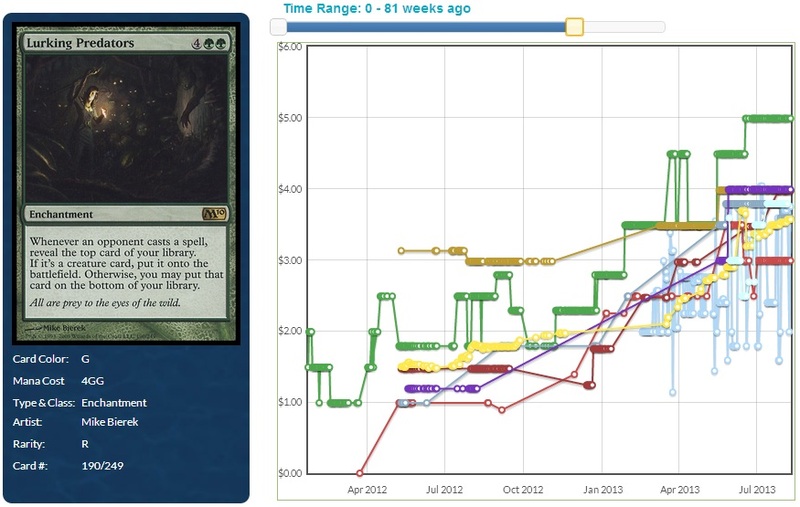 Every Time Warp-type effect in EDH makes this an infinite-turn combo, and in a Teferi deck, game over. Galerider Sliver – With every set that Slivers are in, the decks get better and better. I’ll be on the lookout for rare, low-priced Slivers, especially this and Megantic. Dark Prophecy – This is an effect that can be overpoweringly good, even fatally good. It’s a combo enabler, but as an effect that you have to do, your combo better not go too long. Rise of the Dark Realms – A casual king, this has been noted so much as a long-term spec that perhaps it’ll never have the chance to hit the floor. Still, once it’s under $1, I’ll snap it up. Ogre Battledriver – Sure, we have similar cards in Magic’s past (see: In the Web of War, Urabrask the Hidden) but bonus points if you get this back from someone else’s graveyard when you cast Rise of the Dark Realms. Keep in mind that as a Duels of the Planeswalkers promo, there are extra foils of him out there. Scourge of Valkas – This card is the tipping point for me, I’m going to break down and build the Bladewing the Risen EDH deck. Every Dragon with a tribal effect is worth picking up on the cheap, but Dragons and budgets don’t always play along. Dragonspeaker Shaman is around $3! 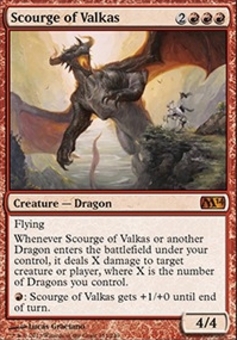 Plus, if you have a Dragonstorm that finds the Scourge and another dragon or two, you’ll get extra triggers. Garruk, Caller of Beasts – I don’t think this will ever be cheap, but its power level in casual formats is fairly ridiculous. 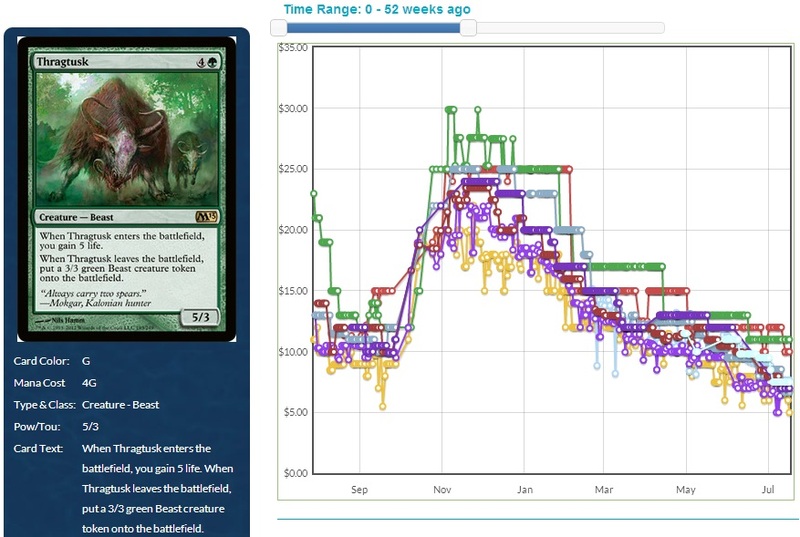 I pray it never finds a home in Standard, because I’d love to see it drop under $10. Primeval Bounty – There’s a list of enchantments that will take over a game without doing anything immediately, such as Lurking Predators, Guild Feud, and Deadbridge Chant. This is a worthy addition to that list, and you should be happy to put these away for a while. I’m surprised at how slow this price is dropping, so I may not have a chance to pick these up as easy as I originally thought. 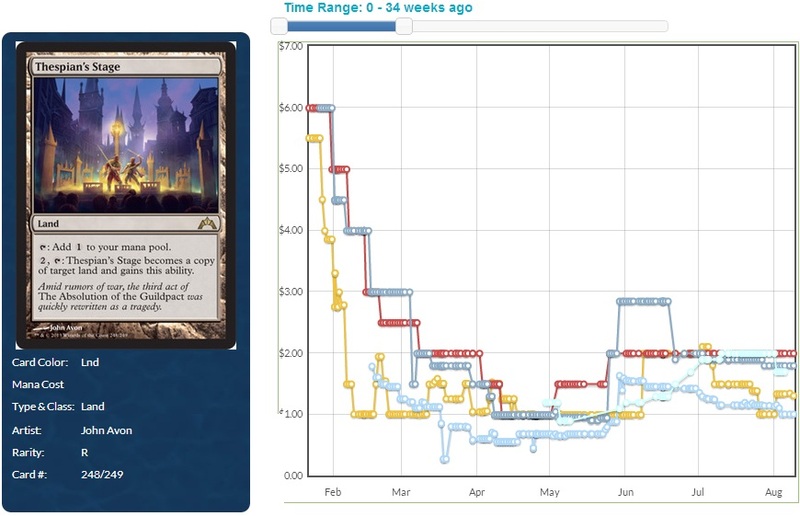 Darksteel Forge – This got a Planechase reprint and the price barely nudged. When it gets to the bottom, nab what Forges you can in trades, because every casual artifact deck wants to play these. Ring of Three Wishes – I do not expect this to go very high. I do expect I can get it from people for a quarter or less, and trade it away in a while for a buck or two. Remember, you’re playing the long game with these cards. You won’t be getting a significant bump for at least a year, unless some incredible combo pops up. If there are cards I missed or you want to compliment/berate me, I’m on Twitter as @WordOfCommander and I love to be told how right/wrong I am.